Never worn, I won’t be this skinny again.ever! Great product at great price. Modeled after our legendary Tactical Pant, the Taclite® Pro Pant. 5.11 TACLITE PRO PANTS. Draw cord openings at bottom hem. Ideal for hunting, hiking, and outdoor activities. 5.11 Taclite Pro Pants are the ideal choice. 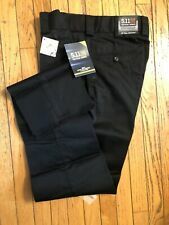 5.11 Tactical 74338 Black PDU Uniform Slacks Pants 30 Unhemmed Expandable Waist. Condition is Pre-owned. Shipped with USPS Priority Mail. No holes or stains. These pants started out size 34 professionally taken in to 30 in. Waist: 30 in. expands to 32 in. Inseam: 32 in. 5.11 Tactical Men’s Ridgeline 74411, Pants, khaki, Multi (8) Pockets 30x30 EUC!. Condition is Pre-owned. Shipped with USPS Priority Mail. 5.11 Tactical Men's TACLITE Pro Tactical Pants 74273 Black 30" X 34"
511 Tactical Pants Military Beige Tan #74003 W 30 L 32. Waist flat lay 15 in. I will always consider and try to make the best deal for you. 1 Gall's Gear Aerosol Spray Case (Pre-owned). 1 Tactical Series 5.11. Waist before stretching approx flat lay 30". You will receive Seam approx 31". Material 65% Polyester 35% Cotton. Actual Size 30 x 34. Grade 9/10 - Excellent No Issues. Condition Pre-owned. 5.11 Tactical Men's TACLITE Pro Tactical Pants 74273 Coyote 30" X 34"
RARE 5.11 Tactical Pant Size 30 X 32 Blue Navy TLBLIN-1893 EMS Military Perfect! 5.11 TACTICAL PANTS. BUNDLE of 4 PAIR. BLACK, SIZE 30 x 30. In excellent used condition. Clean and free of holes tears or stains. 30x30. From a pet and smoking free environment. Please let me know if you have any questions and offers are welcome. Shipping daily. Thank you for your business. Pics are of the actual pants you will be getting.